SKU: ST804. 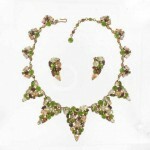 Category: Designers P - S, Sets, Sterling Silver. RARE and OH! so fabulous! 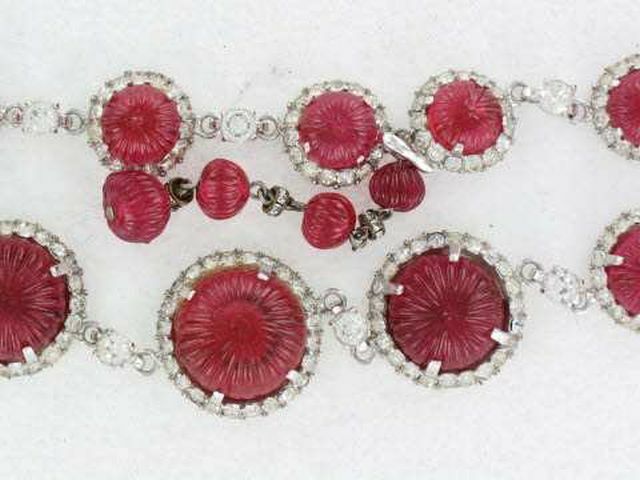 Nettie Rosenstein demi parure of necklace and bracelet. 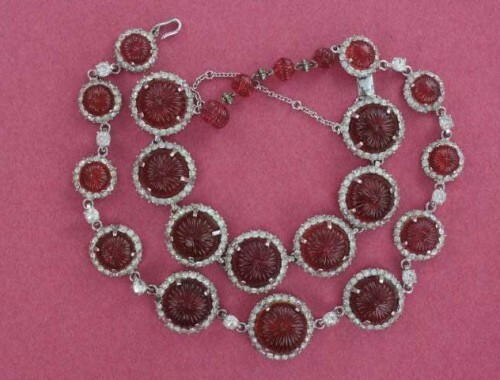 Sterling silver setting with huge carved faux rubies adorned by clear sparkling rhinestones. 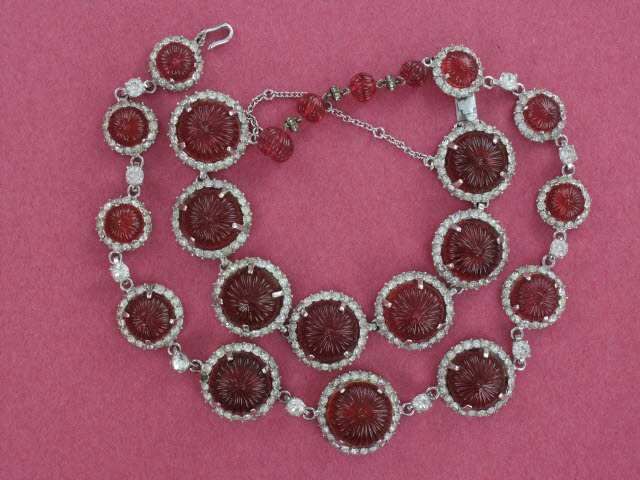 Necklace extension matches the faux rubies and has the same carved ruby beads with clear rhinestone rondelles. 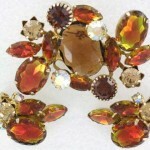 Great quality, design and workmanship! 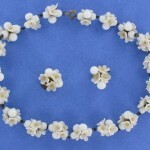 Necklace measures 17″ and is over 1″ wide in the center. 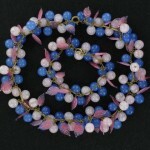 Bracelet is 7.5″ long and 1″ wide. Bracelet has a safety chain. Both pieces are signed “Sterling Nettie Rosenstein“. Excellent condition.